Substance abuse does not discriminate against any employer or their employees. According to the Substance Abuse and Mental Health Services Administration (SAMHSA), 76 percent of people with substance abuse problems are employed. The National Institute on Drug Abuse (NIDA) reports that prescription drugs are, after marijuana and alcohol, the most commonly abused substance in the U.S.
Why worry about drugs and alcohol in the workplace? The answer is because the worker next to you may be drunk, high or hungover. Everyone shares an ethical and moral responsibility to help those around us when they need it most and doing nothing will place ourselves, our family, our friends and our workplace at risk. While many employers maintain drug and alcohol policies that focus on illegal drugs, employers are equally concerned with how the impact of legal drugs is affecting worker safety. -Erratic work patterns and reduced productivity. -Frequent, prolonged, and often unexplained absences. -Overreaction to real or imagined criticism. -Such overt physical signs as exhaustion or hyperactivity. 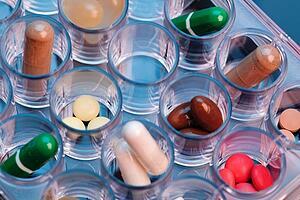 Prescription drug abuse is a growing problem in the workplace. The National Safety Council (NSC) found healthcare costs for employees who misuse or abuse prescription drugs are three times higher than for an average employee. Common warnings advertised on the side of prescription bottles include: “May Cause Dizziness or Affect Alert Time” and “Avoid Operating Machinery or Driving.” Despite these warnings, employees continue taking prescription drugs while continuing to perform duties in the workplace. Unless the use of a medication compromises the safety of the employee, co-workers or the public, employers are presented with numerous challenges especially when it comes to drug testing an employee for legal substances. Prescription and over-the-counter drugs are legal; therefore, employers should take a thorough look at their drug and alcohol policies. Before implementing or revising policy to include limiting use of prescribed and over-the-counter drugs, human resources and management should determine which positions should be covered by a prescription or over-the-counter drug policy. Drug testing policies are common among employers, but most only test for illegal drugs. In some instances, such as safety-sensitive positions or in post-accident situations, employers may have some leeway to ask about, or even test for, prescription medications. According to DISA, an industry leader of screening and compliance services, employers can designate medical disclosure policies for safety-sensitive positions that they feel prescription drugs could pose a threat to workplace safety. Most employees have legitimate prescriptions for medications; therefore, employers must consider employee rights under the Rehabilitation Act and the Americans with Disabilities Act. Employers must also remember their obligations to reasonable accommodation and should seek guidance from collaboration between their doctors and the employee’s doctors. New or revised policies is a great step to implement, but never lose focus on an important causal factor to the epidemic. A worker is injured on the job every 7 seconds. According to The National Institute for Occupational Safety and Health (NIOSH), workers in all industries or sectors may face unique risks as injuries sustained at work are increasingly treated with powerful prescription drugs including opioids (e.g. fentanyl, hydrocodone, oxycodone, and oxymorphone). Slips, trips, and falls, caught between, struck by, repetitive motion, and overexertion are among the most common workplace injuries and they all share a common result – pain. Commitment towards an injury free workforce must be equally important as a drug free workplace. Consider the six degrees of separation: An incident occurs, and a worker suffers serious injuries resulting in severe pain that needs to be treated with a prescribed opioid. The prescription is considered medical treatment beyond first aid resulting in an OSHA recordable. Then, a risk of opioid addiction that may hinder the future performance of the employee and the overall success of your organization. Your workplace should be a safe space and the only way to prevent a disaster is to act. Employers must show compassion yet be clear in their policies when it comes to substance abuse. Our HSE Advisors are ready to help your organization implement better choices. Supervisors must be informed on how to identify an addiction-related problem and how to get help for addicted workers. They should also be trained on recognition, documentation, confrontation, referral, and follow-up. Substance abuse is a disease for which there is no cure. Treatment is available to those who want help, but self-discipline is required to remain “clean and sober.” If an employee does not feel comfortable contacting the Safety Department and/or Human Resources and they would like to seek help with substance abuse, employees can contact the National Substance Abuse Helpline (800-662-4357). This service is offered 24/7, 365 days a year and completely confidential.